LANSING — The award-winning Pure Michigan advertising campaign continues to drive travel and spending to Michigan from out-of-state visitors and to improve the image of Michigan as a regional and national leisure travel destination, according to a new report. 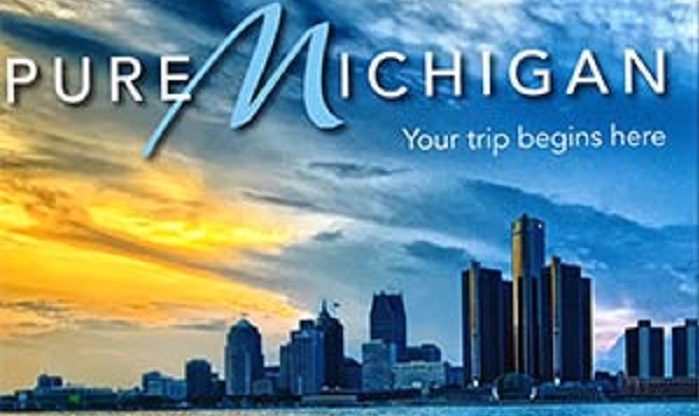 The report by Longwoods International found that Pure Michigan’s out-of-state advertising campaign helped drive 5 million trips to Michigan in 2016, with those travelers spending $1.5 billion at local businesses during their time in the state. Additionally, Michigan performed strongly, relative to regional and national competitors, in being perceived as a destination offering beautiful fall colors, excellent fishing opportunities, plentiful boating and water sports, and as a destination for professional and college sports. The campaign also continued to see a positive return on investment of $8.33 in 2016. In 2016, $12.9 million was invested in the out-of-state Pure Michigan advertising campaign in regional markets and the national cable advertising campaign while out-of-state visitor spending motivated by the campaign generated $107 million in state tax revenue. The cumulative return on investment for the campaign since 2006 is now $5.49 with nearly $9.5 billion in visitor spending and $664 million in state tax revenue generated over the course of the campaign. “The image and product insights available in this report will be especially critical as we continue to evolve and grow the campaign’s passion marketing efforts – helping us to see where key opportunities exist for us to expand and also areas that we need to focus on improving,” Lorenz said. Another indicator of a robust year for the tourism industry in 2016 was hotel data from STR Inc. showing a slight increase in hotel occupancy rates for the year, as well as significant increases of 4.5 percent in average daily rates from 2015 and a 9 percent increase in Revenue Per Available Room from the previous year. The Michigan Yearly Lodging Report can be found on michigan.org/industry/research. The full Longwoods report is available at www.michiganbusiness.org/tourism-reports. Toronto-based Longwoods International is a research firm specializing in tourism advertising return on investment.